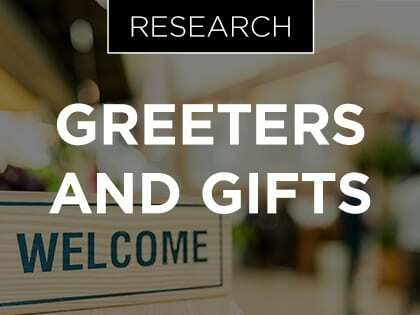 If the average pastor has anything to do with it, church guests can expect multiple greetings and may even leave with a gift. 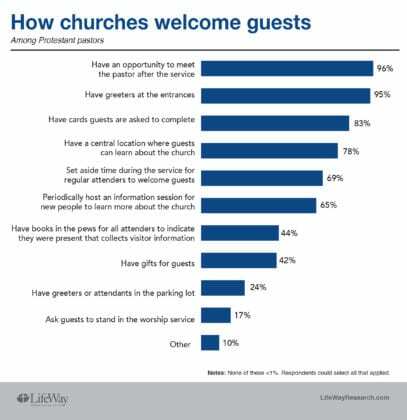 A new study from Nashville-based LifeWay Research asked 1,000 Protestant pastors what their churches do to welcome guests. Virtually every church does something. Fewer than 1 percent admit making no effort to welcome guests. 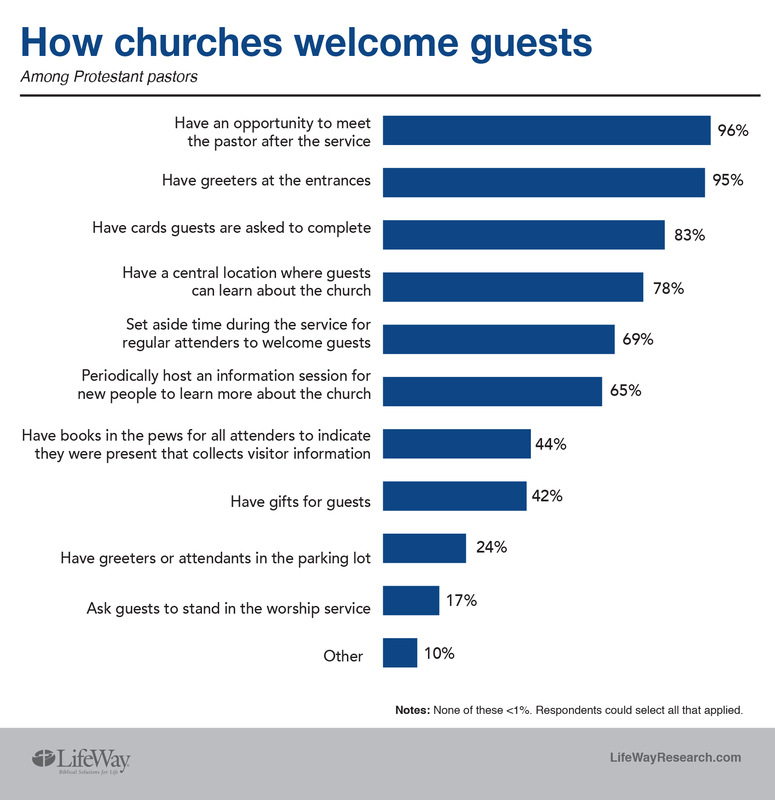 A majority ask guests to complete cards (83 percent), have a central location where guests can learn about the church (78 percent), set aside time during the service for regular attenders to welcome guests (69 percent) and periodically host information sessions for new people to learn more about the church (65 percent). 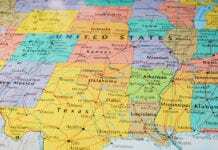 Fewer pastors say their church has books in the pew for all attenders to indicate their presence (44 percent), have greeters in the parking lot (24 percent) or ask guests to stand in the worship service (17 percent). 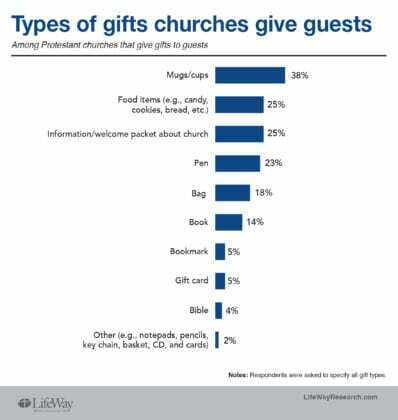 Around 2 in 5 churches (42 percent) say they offer a gift to visitors. 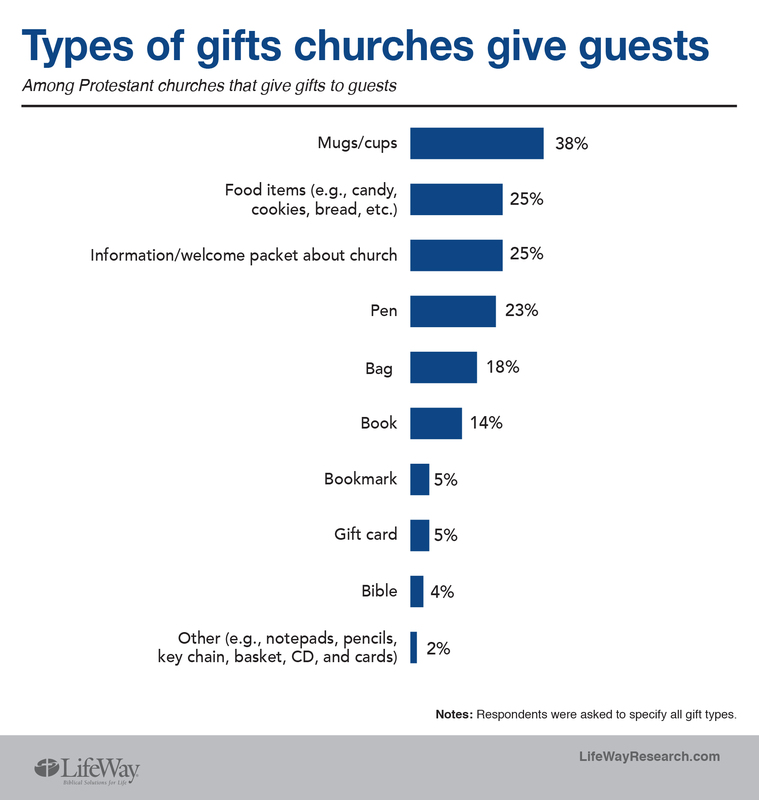 Of those who use gifts, the most popular are a mug or cup (38 percent), food (25 percent), a welcome packet about the church (25 percent) or a pen (23 percent). Used by permission of LifeWay Research. 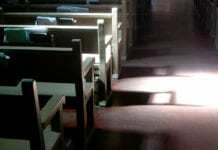 Are Churches Growing or Declining?